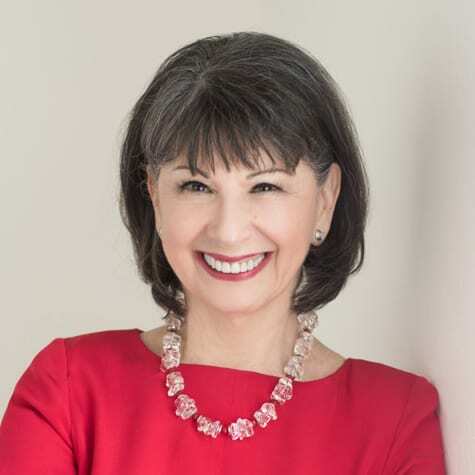 Dr. Nancy O’Reilly, founder of the Women Connect 4 Good Foundation (and in full disclosure, board chair of Take The Lead) sounded exhausted when I called to ask how she and her horses were in the latest California disaster that looked on television like the fires of Hell. That could be a metaphor for life. Her community had only recently begun to recover from the mudslides that destroyed many homes earlier this year. Hers was spared but she spent weeks under mandatory evacuation at that time. And now this. 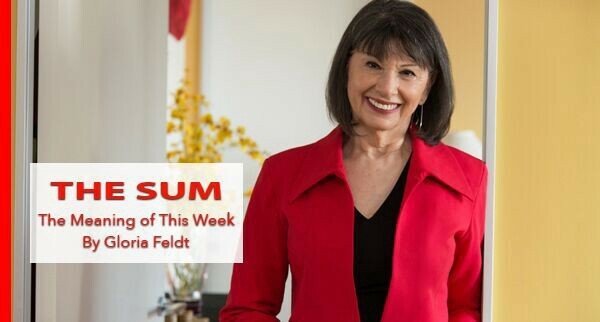 Between the devastating fires burning in California and a wicked winter storm that paralyzed New York, causing accidents and deaths, it’s easy to feel like the world is in chaos, because it is. These are natural disasters to be sure, though due in no small part to human behavior that defies Mother Nature. It’s hard to feel thankful when you’re worried about friends and family, because even if yours are safe, you know others’ aren’t. Yet even chaos caused by the worst of events brings out the best in us. Let us be thankful for that. One of my mentors, the late futurist Watts Walker, often paraphrased 13th century theologian Meister Eckhart, concluding his speeches with that phrase. First of all, I’m in awe of the firefighters who have risked their lives and are working round the clock to put the fires out and rescue those who can be saved. 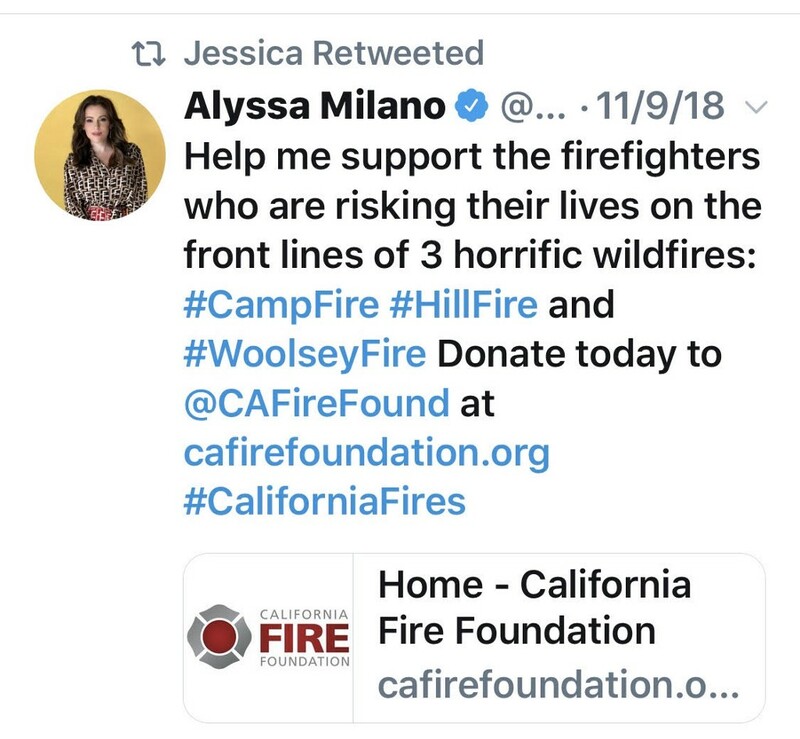 Here’s a tweet by Alyssa Milano that tells where we can donate to express our gratitude tangibly. Thank you, Leadership Ambassador Felicia Davis. 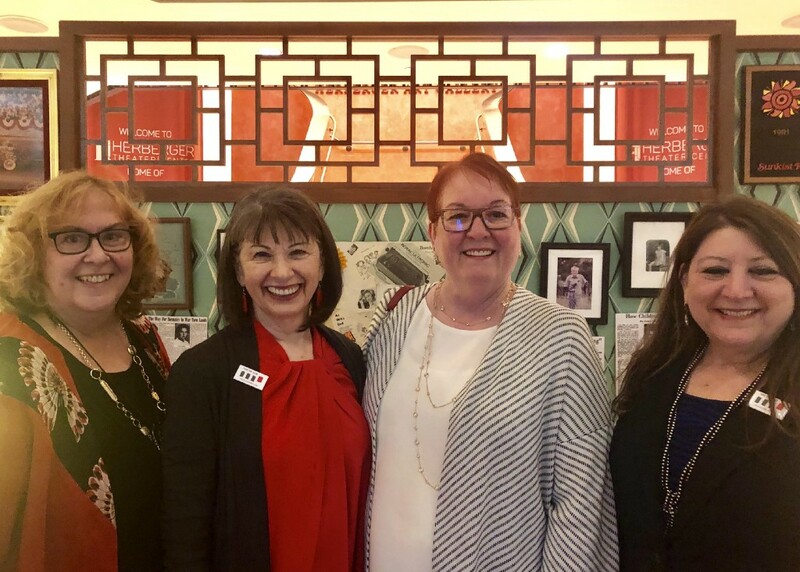 We launched the third cohort of 50 Women Can Change the World in Nonprofits last week in Phoenix. Always compelling, always intentional about how she wants to show up, Felicia is a trusted partner and is putting together incredibly talented and passionate changemakers for the 2018 cohort. There is still time to nominate someone or yourself to start the program in January if you weren’t able to attend last week, and both sections of the cohort will finish together February 27–28. What woman can fail to be grateful to Gloria Steinem? I’m looking forward to our December 15 matinee benefit performance of the play about her starring Christie Lahti and featuring Steinem herself leading audience discussion. 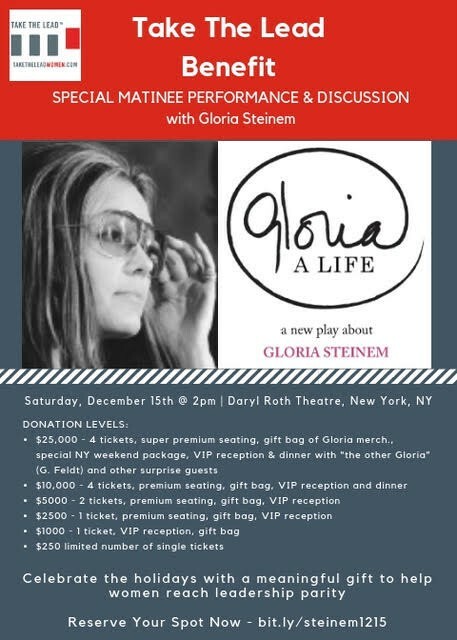 I’m grateful for the people who have taught me to ask directly, and I am going to ask you to go here to buy a ticket for yourself or if you can’t join us, buy one for a young woman so she can be inspired by Gloria Steinem. Join us on December 15! Click here for tickets. Because it’s important to laugh to stay sane in chaos, I’m thankful for Washington Post columnist Alexandra Petri who always nails our cultural ironies with her sarcastic humor. This week’s column was no exception, titled “I’m fine with women in power, just not this one specific woman currently in power.” How many times have you heard that line about, say, Nancy Pelosi or Hillary Clinton or — you fill in the blank. “Just not THAT woman.” Right. I’ll be even more grateful when we get over thinking we aren’t being biased when we say that. I’m grateful for all the women who have created or are creating the movements that can repair the world. From Steinem to Tarana Burke and #metoo to the suffragists who secured women’s right to vote, to birth control and Black Lives Matter, women have been at the forefront. It has been my honor throughout my career to stand with them on the frontlines for social justice. How many people get to make their life’s passion into their life’s work? For that I am profoundly grateful. Wishing you and your dear ones a very Happy Thanksgiving.